Shape of the World is a serene first person exploration game developed by Hollow Tree Games. The game is unfolding in a surreal, organic world that reacts to your presence. Journey through a psychedelically colorful ecosystem of flourishing flora, rambling waterfalls, burgeoning mountains, glowing monoliths and graceful creatures. 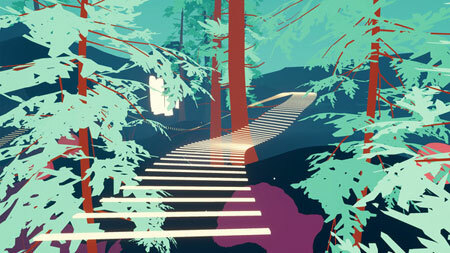 Interact with graceful animals, ephemeral flora, and intriguing monoliths. Your actions will alter the world you discover in vibrant and unexpected ways, leaving you wondering what will happen with each path you forge and every hollow you stumble upon. If you get stuck in the game, check out the video walkthrough and gameplay for the game. This entry was posted in PC Games, Walkthrough and tagged Shape of the World Cheats, Shape of the World Game, Shape of the World Gameplay, Shape of the World Guide, Shape of the World Hints, Shape of the World Review, Shape of the World Solutions, Shape of the World Strategy, Shape of the World Tips, Shape of the World Walkthrough by Marvin. Bookmark the permalink.